You identify as a software tester. You take pride in your role. You, above all others, have been entrusted with the noble task of software testing. Then comes the announcement. Two developers and a business analyst have just been presented with their ISTQB Foundation Level Certification in software testing. Testing has always been your speciality. Should you congratulate them? Or start looking for a new career? Don't worry. This is actually good news for your career when you understand the bigger picture. 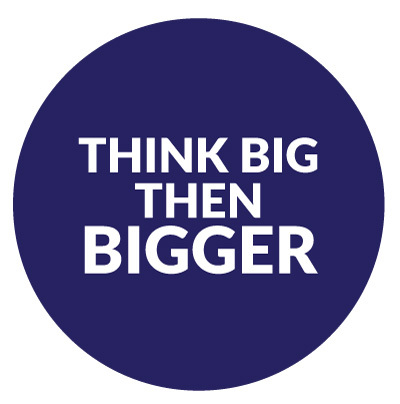 Step back and think big, then bigger. Let's start with the big picture. According to a recent report by the research organization Software.org, software contributed more than $1.14 trillion to the total US value-added GDP last year, a $70 billion increase in the past two years. The number of jobs created directly by the software industry has increased 14.6 percent since 2014. That's a lot of jobs. You needn't look further than ads and headlines to find the reasons why. Software is omnipresent. If you aren't wearing a software-driven device, you are almost certainly carrying it. Your home electronics and automobile have used software for years, but those are getting smarter - much smarter. Don't be surprised when your refrigerator orders milk that is delivered by a self-driving car. While this sounds wonderful, there is a downside. The headlines scream about software issues. Flights are cancelled, tax bills are incorrect, or medical diagnostics are misleading. Every software defect is potentially embarrassing. Worse, every defect hurts an organization's bottom line. Even worse than that, people's lives can be affected in ways that vary from inconvenience to real harm. Companies are aware of this, and doing their best go get ahead of the curve. Among other approaches, they are staffing up QA teams, transitioning to Agile, ramping up test automation, and building continuous quality into the software lifecycle through DevOps methodologies. Ah, if only it were only that easy. Just throwing more personnel into the mix won't ensure quality. According to Capers Jones in his paper, "Software Defect Origins and Removal Methods," untrained personnel such as developers seldom top 35% in defect removal efficiency for any form of testing. And when they do find defects, Jones reported that about 7% of bug repairs include new bugs, while approximately 6% of test cases have bugs of their own. Jones also noted that, in contrast, a synergistic combination of defect prevention, pre-test defect removal, and formal testing by certified personnel can top 99% in defect removal efficiency while simultaneously lowering costs and shortening schedules. So you can see why companies are beginning to certify everyone in software testing, and why ASTQB (ISTQB in the U.S.) software testing certifications are at record levels. If you are a CIO or CFO, certifying everyone makes financial sense. And it keeps the company out of the headlines. This growth in ASTQB certifications will probably also save the jobs of many of those CIOs and CFOs. But what does this mean for you, a "dedicated" software testing professional? For you, this spells opportunity. Savvy software testers realize that no matter how many people are testing, it's probably still too few. Risk-based testing - analyzing quality risks to prioritize tests and allocate testing effort - was invented by advanced software testing professionals to address this problem. Therein lies the answer for your career: You need to be one of those advanced software testing professionals who can lead others through the technical challenges of building continuous quality into software. You might ask yourself, "I know better than the CIO. Why must everyone be ISTQB Foundation Level Certified? I'm going to be the testing specialist for the QA team." Well, have you ever started a new job and been unable to understand the terminology and acronyms tossed around? How productive were those meetings and emails? That's why everyone needs to be certified: so there is a common language and set of testing principles. You shouldn't feel threatened by it - you should be happy everyone will actually understand what you're saying. We can also go back to the example of risk-based testing. This approach should involve both key business and technical stakeholders. Certainly, everyone involved in the project should understand the basic principles of testing, and that includes risk-based testing. 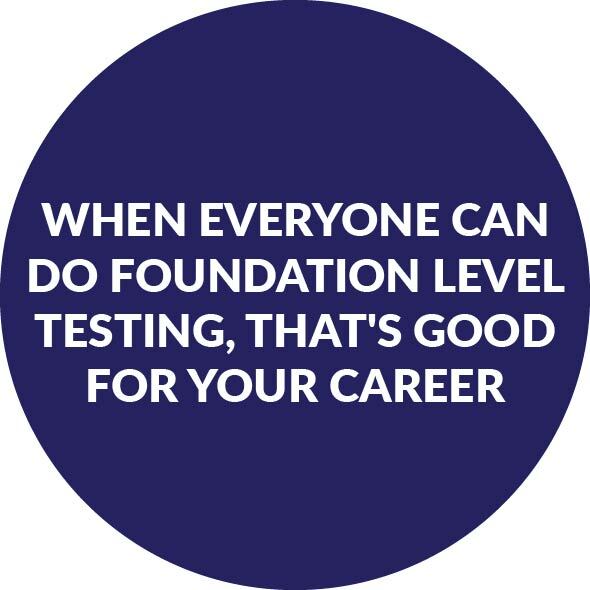 That is where the Foundation Level certification comes into play. When everyone is on the same page, good things happen, and the CIO and CFO like you more. Most importantly for your career, someone needs to be the advanced software testing specialist. In the case of risk-based testing, someone needs to fully comprehend both the technical and project risks. That someone is you. As noted, risk-based testing is introduced in the Foundation Level syllabus. But it is covered to a much greater degree in the syllabi for Advanced Test Analyst, Advanced Technical Test Analyst, and Advanced Test Manager. That really opens the door for those who enjoy testing. This person can become the "authority," someone who not only understands a concept but can bring it to life ... and lead the team. For example, the Advanced Test Analyst will understand risk identification, risk assessment and risk mitigation. In a complementary way, the Advanced Test Manager will understand project risk management and can lead the team through risk-based testing, as well as the execution of risk-based testing techniques. 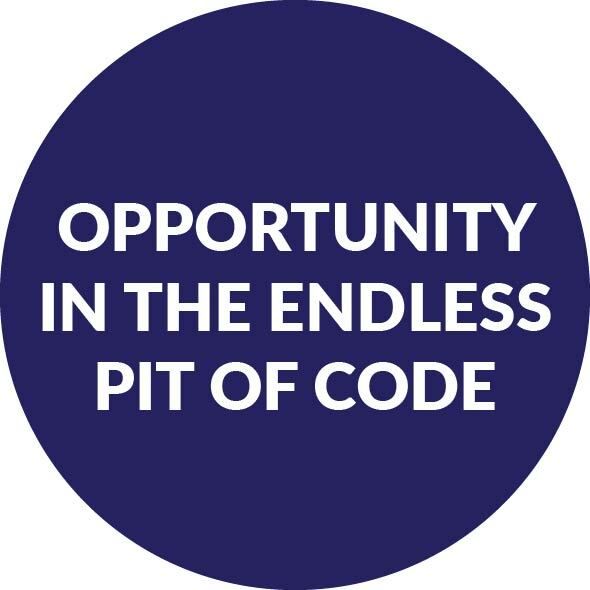 This concept extends to all testing scenarios for mobile, usability, and business analysis, plus test planning and prioritization (Advanced Test Analyst), management (Advanced Test Manager), code quality (Advanced Technical Test Analyst), security (Advanced Security Tester), and test automation (Advanced Test Automation Engineer). The real testing pro (you) needs to develop these skills because DevOps and continuous quality are great concepts, but need advanced testing skills to achieve their potential. 1) When everyone has a basic understanding of testing, they will also have a greater appreciation for your advanced testing skills. 2) With this new environment, you aren't "trapped" in basic testing, but can advance to testing areas that are of greater interest to you. 3) With IoT, mobile, wearable, etc. growing rapidly, companies need advanced testing specialists more than ever. That puts you in high demand. 1) See the software testing career path on the ASTQB website. It's an easy way to visualize your career progression. The certifications align with the most important software testing areas so that you can prove to your company that you have what it takes to be a testing specialist and leader. 2) Prep for the certification exam of your choice. Or better yet, take the faster, easier route, and ask your company to send you to a training class. Be sure to choose an ASTQB accredited training provider, as their courses have been vetted to ensure they adequately cover the information found in the syllabus. 3) Celebrate! 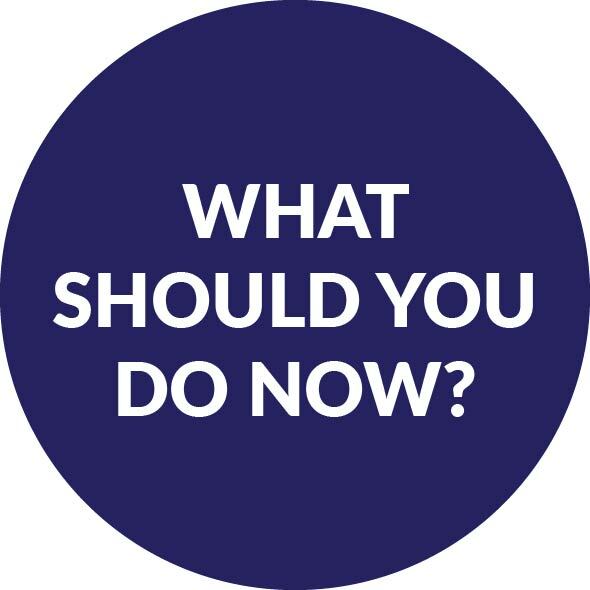 Then plan your next career step. In this new testing paradigm, you can grow your career endlessly. But before you do anything, go congratulate those developers and the business analyst who received their ISTQB Foundation Level certifications. They are helping you to build your career! ASTQB was recently at StarWest. Pictured are Lois Kostroski, newly certified Anamika Mukherjee, CTFL, and ASTQB Board Member Greg Collina, CTFL-AT, CTAL-TM, CTEL-TM Full, CTAL-SEC, CTAL-TAE. Did you know that each there are different versions of the ISTQB exams due to the different languages around the world? Of course, if you're reading this, you should only be taking the ASTQB exam version. In fact, if you wish to work for an American company as an employee or contractor, you should only choose the ASTQB-created version of the ISTQB exam found on the ASTQB website. The ISTQB exam questions in the ASTQB-created version are fair with no misleading or easily mistaken wording. You'll get access to ASTQB-only benefits such as the ASTQB Career Center and job postings. American companies check our ASTQB list of ISTQB certified testers. If you want to work for an American company as an employee or contractor, regardless of which country you live in, you want to be in the ASTQB database. American companies check with ASTQB, not ISTQB. Register for the ISTQB exam now. 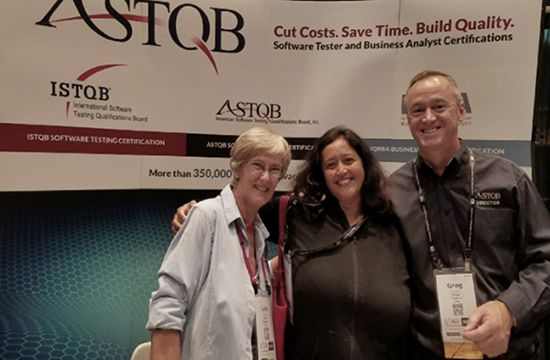 ASTQB participated in the PMI Global conference in Chicago, encouraging project managers to provide their software testers with the career development offered by ASTQB certification. 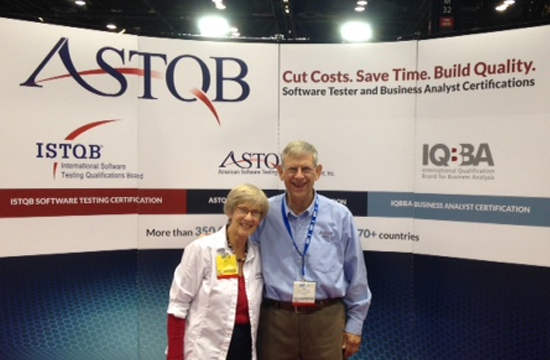 Pictured are ASTQB Executive Director Lois Kostroski and Board Member Taz Daughtrey. How do you put together the best software testing team for any project? Learn how to staff a software testing team. The "How to Staff a Test Team" guide suggests best practices for designing and staffing your test team. This supports your software development team, leading to better software quality and shorter schedules. ALPI: 40% Discount for ONSITE group classes for ISTQB (FL, AT, Mobile, AL-TM, AL-TA, AL-TTA), HP (UFT, QC, LR), Open Source (Appium, Selenium, JMeter) and Certified Ethical Hacker (CEH). Individual sign-ups for Public classes at www.alpi.com/training. Learn from the Pros! Test Process Improvement since 1993. Contact our Training & Consulting Services team for details at training@alpi.com or by calling (301) 654-9200 ext. 403 to lock in your savings in 2018! Nopmark: Nopmark Consulting and Training now offers a referral bonus for each student you refer. Just simply send the name of the person you refer and upon attendance of the class you will receive $100 Amazon gift card. We now offer a practical test case creation 1 day workshop. Students will receive free templates and check lists to use in their projects. Get a 10% discount when you take the class together with any other training. RBCS: Happy New Year! Receive an 18% discount off of any e-learning course (some even include exams!) by entering the code HAPPYNEWYEAR18 into the discount code field in your cart. Offer expires January 31, 2018 at 11:59 PM. This cannot be combined with any other offer.! Rice Consulting Services: Rice Consulting Services is offering a special bonus on ISTQB Foundation Level e-learning for teams of five or more people. Enroll five or more people in CTFL e-learning courses and get one extra registration free, including exams. Use code "ISTQB6" at www.mysoftwaretesting.com when purchasing the 5-person Foundation Level Course enrollment version. This offer expires on January 5, 2018. SQE Training: Continue your journey along the Software Testing Career Path with special savings on ISTQB® accredited Agile Tester Extension and Advanced Level Certification courses, as well as ASTQB accredited Mobile Tester Certification training from SQE Training. Save $250 on any Live Virtual or Public Classroom certification course purchased through January 15, 2018, with promo code 25FWAS. Learn more and see eligible courses at well.tc/25FWAS. *ISTQB/ASTQB certification courses only. Only valid on new registrations.